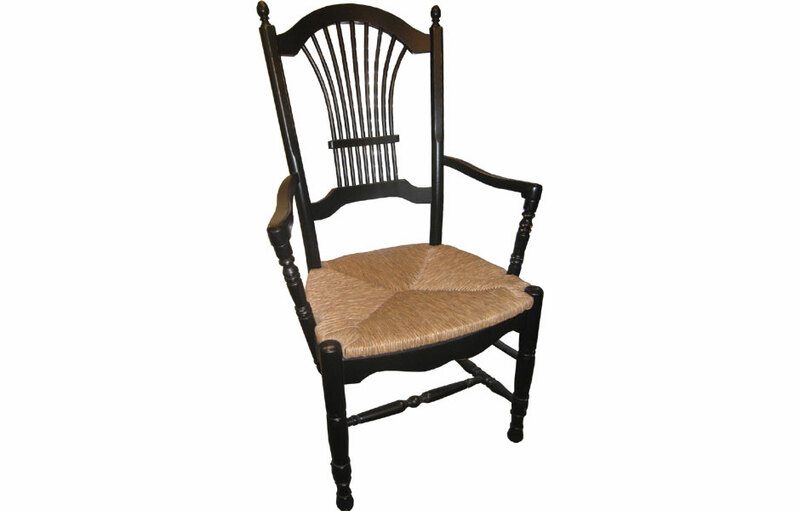 This French country dining chair featuring a wheatsheaf motif is made of solid hardwood. 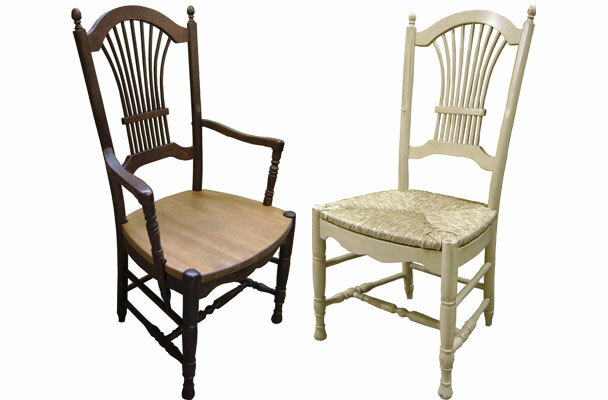 The wheat back chair has a contoured spindles, a scrolled seat skirt, ball finials and turnings, and a comfortable and roomy 20" wide seat. Available in Side or Arm styles with a Wood seat. The wheatsheaf has long been a symbol of the harvest and abundance in the home. It's a timeless French motif found on fabrics and country furnishings. 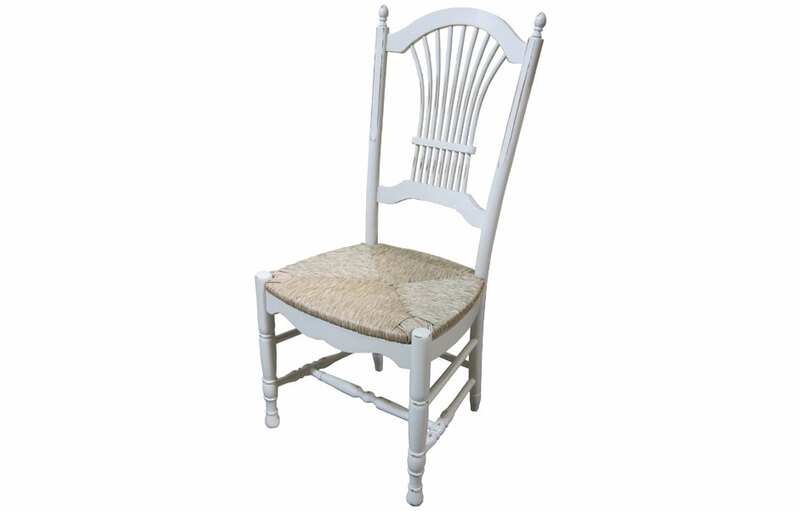 The Wheat Back Chair an ideal accessory to a rustic farmhouse table or a elegant 72" round dining table. Friends and family will love to gather for leisurely on these comfortable, sturdy French-inspired chairs. The Wheat Back Chair offers a comfortably, contoured eight spindle back, that fans out to represent the wheat motif. The chair skirt is scalloped and the legs are turned. The chair seat options include a solid wood seat or woven rush seat to complete the Provincial style. The seat is an ample 20" width for comfortable seating. The back gently contours for comfort and back support. The wheat back chair is made of solid hardwood—to stand up to daily use—and meant to last a lifetime. This is one of our "best seller" chairs for its European farmhouse design, comfort and enduring style. This wheatsheaf is available with a molded "Wood" seat. 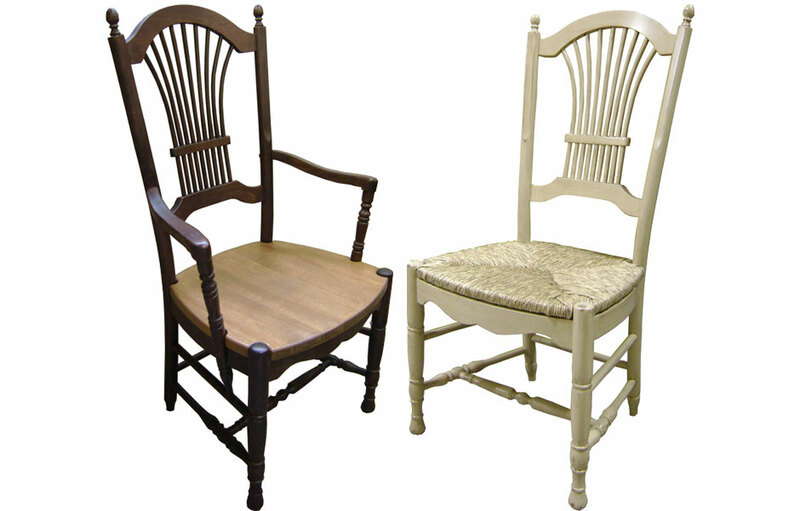 The chair can be finished in a two-tone paint/stain combination (chair back/seat), or an all over paint or stain. 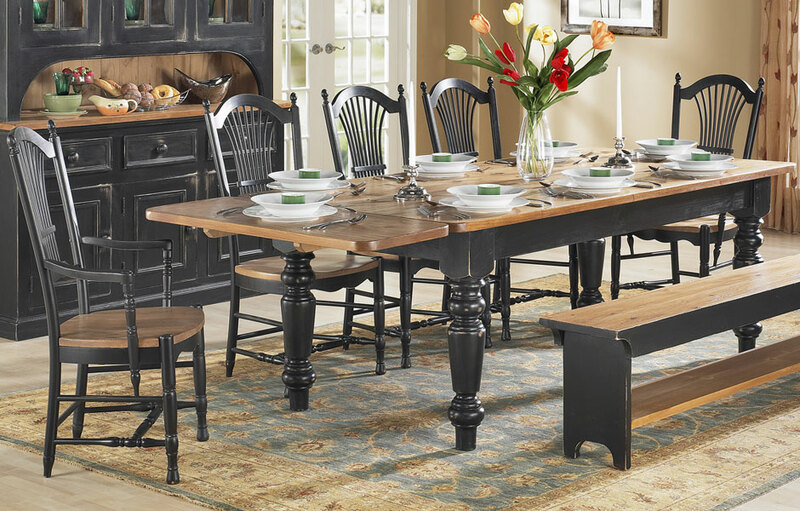 We offer a wood seat style on our Country French Ladderback Dining Chair. The wood seat is a hardwood seat that can be painted or stained and it is strong and durable.